There is a reason blush weddings are considered timeless. 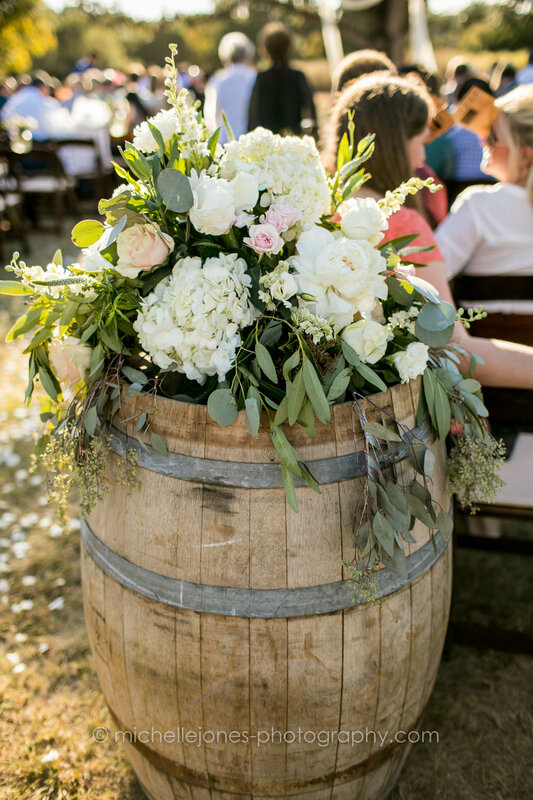 The tried and true combination of delicate, romantic blooms with pops of organic greenery doesn't go out of style. Chloe and Jace's romantic Hill Country Wedding at Kali Kate Pavillion was full of lovely personal details, and we fell absolutely in love with all the textures in her garden blooms. The peachy pink Charity Garden roses paired with those pops of white and navy anemones were pure perfection! It was a blast planning with this couple, and her uber talented family brought in DIY elements to compliment all the pretty blooms. Enjoy these, and check out the awesome vendors we worked with on this gorgeous rustic glam wedding!